I finally could see the rounded curve of her. It was funny to be this far along and just now to see her. Outside the windows, the sky turned gray and white with a summer storm. In the far distance, the mountains we had slept in the night before were purple, and they were not cold and rainy for us anymore. Kayla turned to the side so I could get a picture with the camera phone, and held the dress back to show me. I had already felt her moving beneath the skin, the little arms reaching, the kicks, gentle at first, then more insistent, the tension curling and uncurling beneath the surface. And now, finally, looking at Kayla, standing like a statue, her hands on the rounded curve, I can see the outline of our little girl. 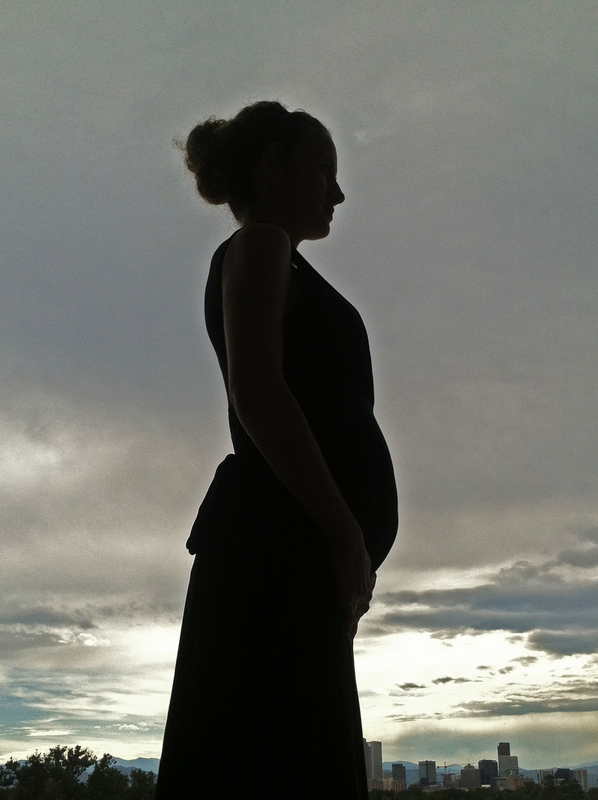 She will come into full view on January 1, 2014. Congrats you two! A sweet baby girl…how lovely! HUGS! Thank you Vicki! I hope you guys are getting some good rain today! Wow! Congratulations! I’m so happy for you. Oh what happiness! Congratulations to y’all! Thank you! We are very happy–we are so blessed! Have a wonderful day! No cosmetics in the world can match the beauty of an expecting wife. Congratulations to you both! Yes! Kayla is even more beautiful than normal, if that’s possible! Thank you so much Tyler!